A federal judge on Tuesday ordered Florida to devise a new way to decide when and how former prisoners can get their voting rights restored, saying Gov. 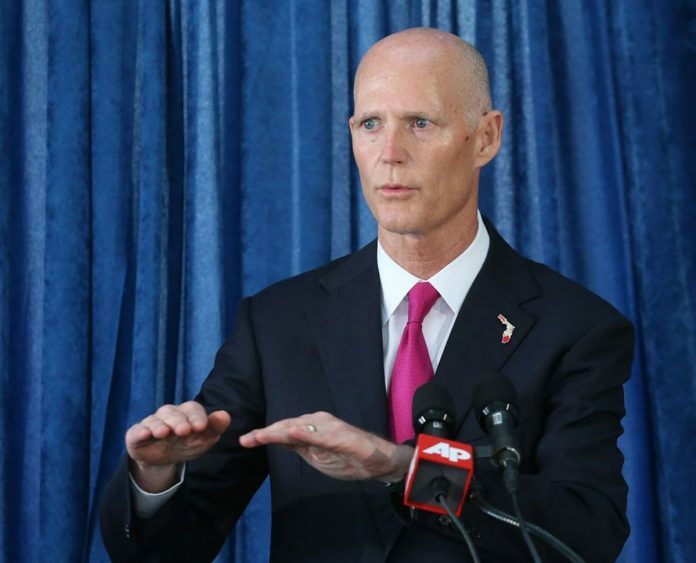 Rick Scott and state officials can no longer rely on “whims, passing emotions, or perceptions” in that process. U.S. District Judge Mark Walker also blocked the state’s current system of forcing most ex-felons to wait at least five years before they can ask to have their voting rights restored. The system was put in place back in 2011 at the urging of Scott and Attorney General Pam Bondi. Walker did not specify what rules the state should put in place but instead gave Scott and state officials — who act as the state’s clemency board — until April 26 to come up with a new process. Florida was sued on behalf of ex-felons whose requests for voting rights were turned down. John Tupps, a spokesman for Scott, did not say if the governor’s office would appeal Walker’s decision. But Tupps defended the process now in place. Florida’s constitution automatically bars felons from being able to vote after leaving prison and Walker’s ruling leaves the ban intact. The state’s clemency process allows the governor and three elected Cabinet members to restore voting rights, although the governor can unilaterally veto any request. The process has changed over the years. Shortly after taking office in 2007, then-Republican Gov. Charlie Crist convinced two of the state’s three Cabinet members to approve rules that would allow the parole commission to restore voting rights for non-violent felons without hearings, and within a year, more than 100,000 felons were granted voting rights. Since Scott and state officials changed it in 2011 fewer than 3,000 of them have had their rights restored. Walker first ruled back in February that the state’s system of restoring voting rights to ex-felons is arbitrary and unconstitutional. He then asked for both sides to offer up remedies. Lawyers who represented those suing Florida wanted the judge to order the restoration to anyone who had been out of prison at least five years. But Walker in his ruling said he lacked the authority to issue such a specific remedy. Still he also chided the Scott administration and Bondi’s office which suggested that state officials could do whatever they want, including completely refusing to restore voting rights to everyone. “This court concluded that Florida’s arbitrary slow drip of vote restorations violates the U.S. Constitution- but that does not mean defendants can shut off the spigot of voting rights with a wrench, yank it from the plumbing and throw the whole apparatus into the Gulf of Mexico,” wrote Walker. Jon Sherman, senior counsel at the Fair Elections Legal Network, still praised the ruling. The legal fight comes just months before Florida voters will be asked to alter the current ban. Backers of a constitutional amendment have won a place on the November 2018 ballot. If sixty percent of voters approve, most former prisoners would have their rights automatically restored.